Bubbe is the nickname for our son Braxton. He is a strong and brave boy, who continues to beat the odds and learn new skills. Bubbe was born May 18, 2013 to a very loving family. We were told that something might be different with my son's brain during my 20 week ultrasound, and doctors wanted to do more tests in utero. However, as new parents, we knew more than anything that we wanted to have our son, and would love him just the way he is. We turned down further testing and prayed for our first child. When Braxton was born, my first thought was "he has his dads chin!" Our first idea that something truly wasn't quite right was the doctors measurements of his head, it was so tiny, it was off the charts. Braxton also had surprisingly high muscle tone, able to arch his neck and look straight up, but at the time I just saw him as my strong perfect baby boy. However, slowly things started unraveling. Bubbe had a lot of trouble nursing. He would back arch away from me every time we got latched. Our lactation consultant suggested that perhaps the arching had to do with something neurological, but it took a while to get referrals to see a specialist. An ultrasound of his brain was done through the soft spot on his head, and although things weren't typical in there, there weren't any conclusive answers. We were told not to read too much into his results and not to Google anything, but I was worried that the arching had something to do with seizures or spasms and started doing research on the brain. Braxton started throwing up daily and was put on antacids to try and control his reflux and possibly the back arching. He wasn't opening his eyes either, but for the first little while everyone was attributing that to his rough vacuum birth. I knew something was not right with my baby, but I lacked answers for why he wasn't the same as the other babies I saw. At three months old Braxton did start seizing and spent four days in three hospitals in two different provinces. A CAT scan, and multiple EEGs and MRIs later we had a "diagnosis". But as many parents of special needs children know, a diagnosis doesn't mean answers. It cant tell us what Braxton's life will look like. Braxton's epilepsy immersed us into a medical world. We have since found out many aspects of Braxton's body and the ways he is very different form other children. Braxton has now been labelled as disabled. He has been diagnosed with dandy-walker malformation, agenisis of the corpus collosum, simplified folds of the brain, polymicrogyra, Early Infantile Epileptic Encephalopathy, infantile spasms, cerebral palsy, and vision impairment. As a result of these issues he is developmentally delayed. We have since found out that Braxton's uniqueness comes from a mutation of the TUBa1a gene. 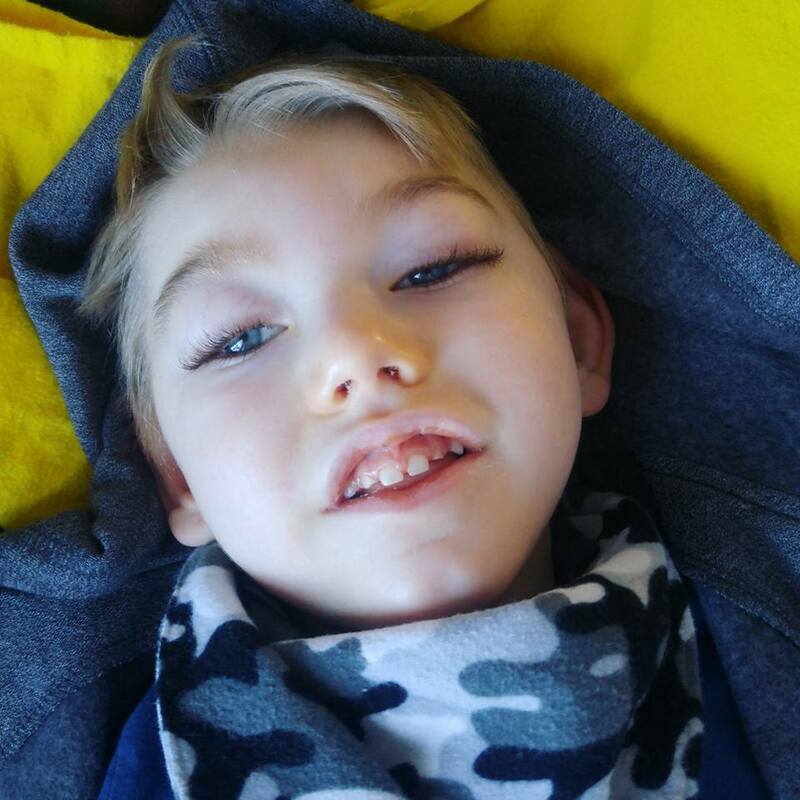 This gene mutation did not allow Braxton's brain to form properly, causing the anatomical differences, and life-shortening obstacles. At one year old Braxton had little control of his head and struggled to push up on his tummy. He developed problems eating and was at danger of aspirating anything that is in his mouth, and so was no longer allowed to eat orally. He had surgery to get a g-tube for valentine's day, and began a ketogenic diet through the tube. Braxton continued to challange what doctors say he should be able to do, and goes through periods of development and regression. At two years old he started learning to use his arms and hands, and his legs got stronger using his pool. Bubbe was opening his eyes for longer periods of time but seemed to be functionally blind. 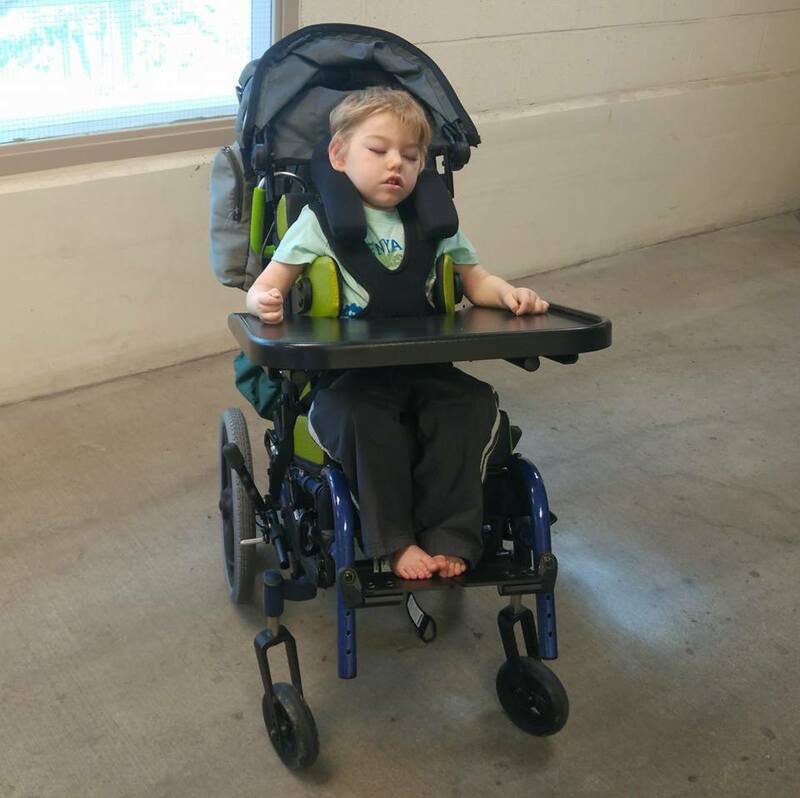 At 3 years old Braxton had more core strength and is getting better at sitting by himself and bears weight through his legs to stand assisted. He is a clever boy. He likes to pretend to sleep when at doctors appointments to avoid pokes. He loves music, especially singing at church, listening country or kids music on the radio, or the tv show "Little Einsteins", and participating in music therapy. He likes baths and swimming, and is a big fan of water therapy in the pool. He babbles a lot, and is learning to copy sounds, his vocabulary includes "mom", "dad", "up", "yeah", "nap" and "love". He is great at recognizing voices. Braxton is showing us he has a great sense of humour and is even starting to have a little 'haha' laugh! At 4 years old Braxton is working hard at his special preschool that sees his full potential. He is learning to say "yes" and "no" by turning his head left or right. He understands much of our spoken language and is really motivated to get moving. Our life may be far from what we expected with Braxton, but it is full of love. I am starting this blog as a journal of my journey with Bubbe, but also to share my experience. I know friends and family are curious of Braxton's progress and its an easy way to be kept in the loop. It is also a way to connect with others who are traveling a similar path with their special children. However, I know that I am going to also express thoughts and feelings that aren't necessarily easy to read or politically correct. Sometimes I am angry, sad, and frustrated. Other times I am overjoyed with the tiniest thing and feel like I'm exploding with pride and love. With little siblings also now in the picture, it has become an expression of our family. The path ahead has many curves, thank you for supporting us on it.